Some new dining options will be available at Fenway Park for those attending the World Series. Food is a big part of watching baseball. It's no surprise the menu at Fenway Park got a facelift for the World Series. Don't worry — they still have all the fan favorites: clam chowder, Italian sausage and the famed Fenway Frank. 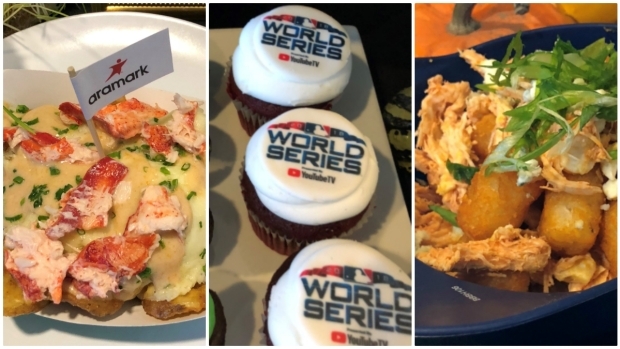 Ron Abell, Aramark executive chef at Fenway, is the genius behind a World Series menu with five new dishes. He quickly chimed in on a long-argued debate. "The Fenway Frank is way better than the Dodger Dog, hands down," he said. "I don't even need to try the Dodger Dog to know that." 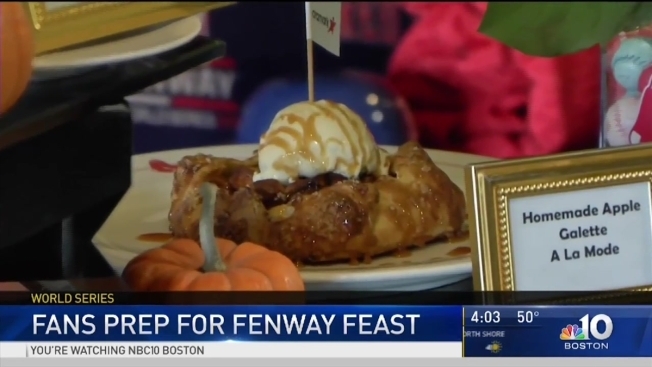 Abell created the menu to include some Boston flavor alongside baseball favorites. There's the #DoDamage Surf and Turf Burger: a six-ounce Savenor's cheeseburger topped with Yankee Lobster Co.'s lobster meat, all tossed in King's Hawaiian Big Island Lava Sauce and smothered on a kaiser roll. "Picking the vessel the food comes on, or in, is key," said Abell. He leaves no one's taste buds behind. Abell has love for the vegetarians too, offering a vegetable wrap with organic produce from Fenway Farms, the park's rooftop garden, as well as quinoa and goat cheese. A homemade apple galette made with spiced apples, warm pastry and vanilla bean ice cream coated with a salted caramel drizzle is only available at the Dell EMC Club. There's also a barbecue pulled porked sandwich that has bacon sauce topped with coleslaw on a King's Hawaiian roll, and Buffalo chicken totchos with crispy tater tots, shredded Buffalo chicken and blue cheese crumble.